You are cordially invited to our Work in Progress Day, which takes place on the 7th of March in our worspace at Zadkine South. Alcatel sponsored our project by providing us 10 brand new Android phones! Here some images of the workshop on animation, mapping and projections. 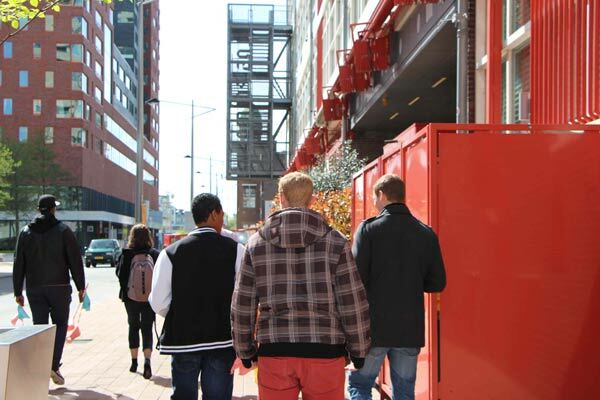 On the 22nd of January the HT students paid a visit to FabLab 010. This was an introduction to the experts, machines, tools and all other aspects that are related to creating prototypes, more specifically to creating rapid prototyping. The students worked here with 3d printers, laser cutters and vinyl cutters, which is a next step in the process of game design; to go from design and ideas to something tangible. Click here to visit the website of FabLab 010. This workshop was an introduction to ubiquitous computing. The students were designing games having interfaces of only sound and physical objects.